It finally comes down to this weekend, where all the training pays off. Some have been running since August just so they can run in the state meet, others have been running all summer so they could perform well in this meet, but the very best, and fastest runners have been running since track season just show that they’re really the best the state has. But like anything, every man/woman who toes the line will run the same race and anyone could win. Our WMC runners took Twinbrook well last week at Regionals. Mitch Morris and Bryce Murdick were among the top 4 going sub 17. Overall, 18 WMC runners went sub 18 and were in the top 40. On the ladies side, Katherine Leggat-Barr of Greely was the only girl sub 20. 11 of the top 18 were from the WMC as they went sub 21. With the State meet Saturday, It’s going to be wet, muddy, as well as anyone’s race. Senior Matt Malcom found his grove again last week as he ran to a runner up finish. Malcom ran with race winner Ben Allen for most of the way, but got out run in the last mile. And as anyone who has run Twinbrook knows, the last mile will make or break a race. Malcom clocked a 17:29 on a soggy track at Twinbrook. If Malcom runs like he did Saturday, he can easily stay with Allen of Winthrop, and even potentially beat him. Running with Malcom last week was Tucker Pierce of Merriconeag. Pierce has been running well this season as he placed 10th in WMC and 3rd last week at regionals. He clocked a 17:42, 23 seconds behind Allen. Pierce was with Malcom and Allen through the 2 miles, but like Malcom, he was dropped in the last loop of Twinbrook. Pierce will go into Belfast as a stranger to the course, but that doesn't mean he can’t clock a fast time. Pierce is more than capable of hanging onto Malcom, but could he do so this weekend? Pierce has beat Malcom once this year, and will try to do so again. Watch for Pierce’s teammates, the Neveu brothers, Zack and Nick. The senior, Zack, has taught his freshman brother quite well. For many races this year, the two have been with each other as they’re seconds apart. One time this year, Nick ran faster than Zack, which was at Festival, where Nick won the Freshmen race in a 17:16 and his brother ran a 17:41 in the seeded race. This past week, the two finished 6th and 7th with Zack finishing a second in front of Nick with an 18:06. The two brothers have been great support to the Merriconeag team as whole. If they continue to run the way they have been, with Pierce leading the way, they could potentially win the State team title. 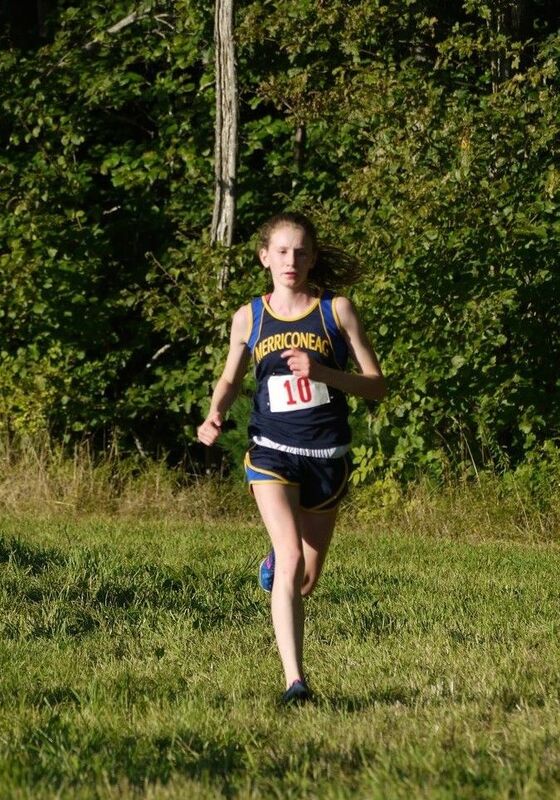 Merriconeag showed Saturday that they can run with the defending state champs, Boothbay, even though they were edged out by Boothbay’s #6 runner. If Merriconeag expects win, their #4 and #5 runners will have to step up big and get with Boothbay’s #4 and #5 runners. Merriconeag came to a dead tie with Boothbay as both were at 51, but Boothbay had the better #6 runner to win. Merriconeag averaged 18:26 with a 1:40 split. They had the fastest average of the race but their split was 46 seconds greater than Boothbay. 20:44, a 25 second gap over the runner up Olivia Skillings. Austin used her knowledge of Twinbrook over the field and was able to breakaway at the mile and a half mark. 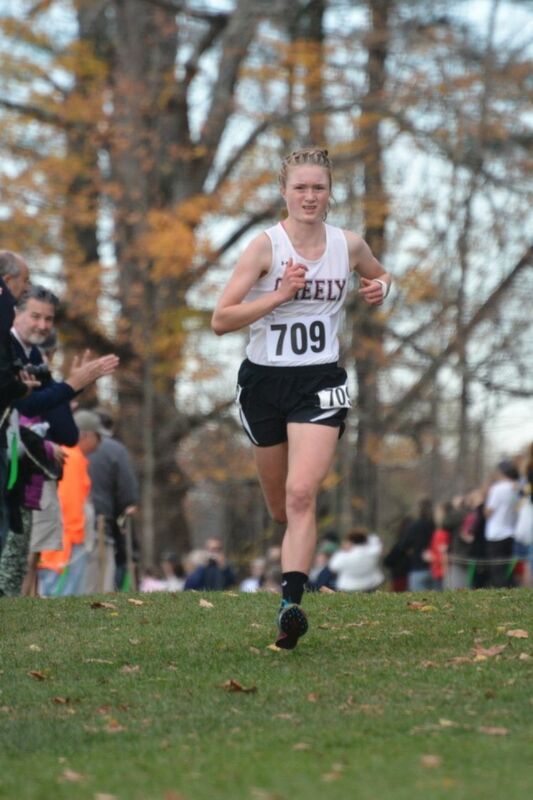 Austin will try to redeem herself on the Belfast course after she placed 30th at FOC this year and try to be the first new tate champ in Class C in 4 years. Young Olivia Skillings has taken the post season well starting with WMC’s as she placed 4th overall with a 20:43 and then last week she was 2nd with a 21:09 at the regional meet. Skillings has been absolute dynamite as a freshmen and has shown that she can run with the state's best. Like Austin, though, Skillings will try to redeem herself at Belfast and show that she can handle the dangers of speed on the course. Skillings was 11th in the freshmen race with a time of 20:52. She’s destined to run much faster this time around faster her second place finish this past Saturday. Waynflete’s sophomore, Ellie Chidsey will be one of the State’s top runners as she was at regionals. Chidsey ran a smart race at Twinbrook, she knew not to race the first mile but hang back and coast. About halfway through the race, she made her move to catch her teammate and she would go on and pass her and finish 3rd. Chidsey ran 20:58 once this year at Belfast and will try to run the same time with the conditions expected. For teams, Waynflete showed that they’re the best in the west as they put 4 in the top 10. They were beat by Merriconeag in the first 3 spots, but the Flyers showed they can match them and finished right behind them. They averaged 22:07 and a 1:59 split. Waynflete will be pushed to their limits this weekend as they go up against Class C Eastern Champs, Orono. Orono was able to put their 5 in the top 10 in the Eastern Regional meet. Waynflete will have to match every move by Orono in order to compete for the state title. Falmouth, it's all about the Yachtsmen in class A. They’re now 1-1 against Scarborough, and they will try to win the tie breaker. Leading the way for the Yachtsmen is Bryce Murdick, Murdick has had a stellar postseason as he won WMC’s in a 16:49, came in 3rd at regionals with a 16:53. It’s going to be exciting to see what he’ll produce at States. He led the way for 2 and a half miles at regionals, before Lid Sheikh-Yusef caught him. Murdick has the potential to win the Class A State title, as long as he runs smart and not run a PR in the first mile. Keep a keen eye out for Spencer Brown. Brown has been a tremendous help to the Yachtsmen as he’s been one of the key low sticks. Last week he out leaned Colin Tardiff to take 5th in a 17:03. Brown will have to make the same results at the State meet. If he could hang onto Tardiff again and stay in front of him to the finish, he could help his team to a potential State title. Brown was right near his teammate, Murdick at FOC as he finished 19th in a 16:34. He will try to do the same thing and stay in front of Scarborough’s #2. It’s a fight for the Class A title as Falmouth and Scarborough will duel it out. Scarborough got the best of Falmouth at Festival as they went 144-148. This past weekend, Falmouth out performed Scarborough going 49-52 to win regionals. They averaged 17:20 with a 51 second split. If Falmouth could run man to man, like they did last week, they’ll be destined to win. The WMC will bring a lot of talent to Belfast in the Class B race, and leading that way will be senior Mitch Morris of Cape Elizabeth. Morris, in his second year running, has displayed a lot of talent he had hidden for the first 2 years of High School. Morris went from kicking soccer balls in his room, to winning races. Morris rebounded after a disappointing lost to Murdick at WMC’s to win Regionals by 26 seconds over Harrison Knowlton in a 16:45. Morris was the second fastest of the day and ran by himself for the last mile and a half of the race. Morris goes into the state meet as the heavy favorite and no one around him. He will have the chance to run the fastest time of the day and see what he’s capable of by running solo on a fast, wet course. A boy to watch for on this speedy course is Luke Laverdiere, the young freshmen from Yarmouth has been turning heads as he’s been dropping low times and running with some of the best in the State. Laverdiere took some good notes from his last race at Twinbrook, as he didn't challenge the front runners, but hung back sitting in 8th for the mile but ended up finishing 4th in the regional meet with a time of 17:26. Laverdiere will attempt to make a statement at Belfast, a statement that he missed at Festival due to his Vocal Cord Dysfunction. Laverdiere can show off his speed and will challenge Morris, like he did at WMC. 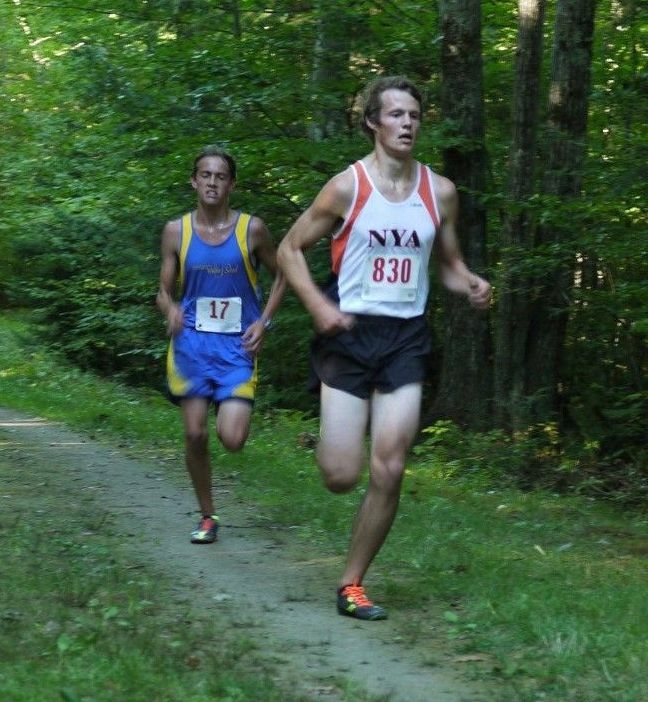 The junior from Fryeburg, Patrick Carty, will goes into Belfast running the course only once. 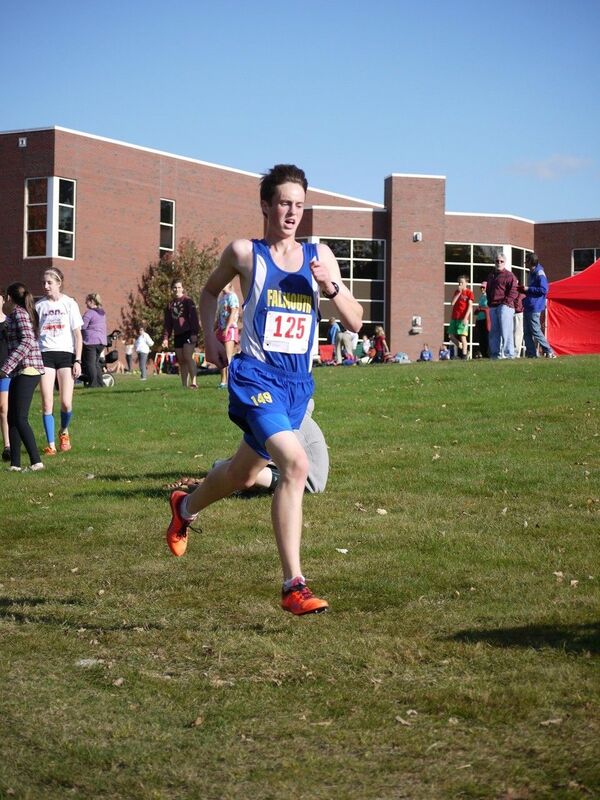 Carty trekked the course when he was only a freshmen and will try to remind himself about the points where to take off and pass around people. Carty ran well at Twinbrook placing 3rd with a 17:12. That made him the 10th fastest runner of the day out of all the classes. Carty ran a consistent pace throughout the whole race on Saturday, he found his spot at the mile, and was able to hold onto that spot to the finish. Someone who’s never raced at Belfast before is Chandler Vincent out of Freeport, but this shouldn't be an issue for the junior. Vincent ran to a strong 5th as he clocked a 17:32. Vincent will be the pace setter for the front runners, as he likes to challenge the field right from the start. If Vincent wants to run to a top spot, he needs to know that the first mile is the fastest mile of the race and you can burn yourself out in that first mile. If he can control himself in that first mile, he can be one of the fastest runners on the day. Not only should you watch for Morris, but his teammate, Kyle Kennedy. Kennedy for the past couple of weeks has been battling plantar fasciitis which has slowed him down quite a bit. But he’s still able to place high like he did Saturday as he placed 6th clocking a 17:36. At Festival, Kennedy ran a 16:17, making him the second fastest runner in Class B. He could still prove himself to that this weekend in some wet conditions. Last week, York won the match up against Greely 72-92. York put two runners in front of Greely’s #1. Then another two in front of their #2 runner. York was able to beat Greely on their own course, with this knowledge, it can be said that York will again beat Greely for the state title. York averaged 17:57 with a :56 second split. Greely was 18:08 and a split of :43 seconds. Cape Elizabeth could potentially challenge Greely. 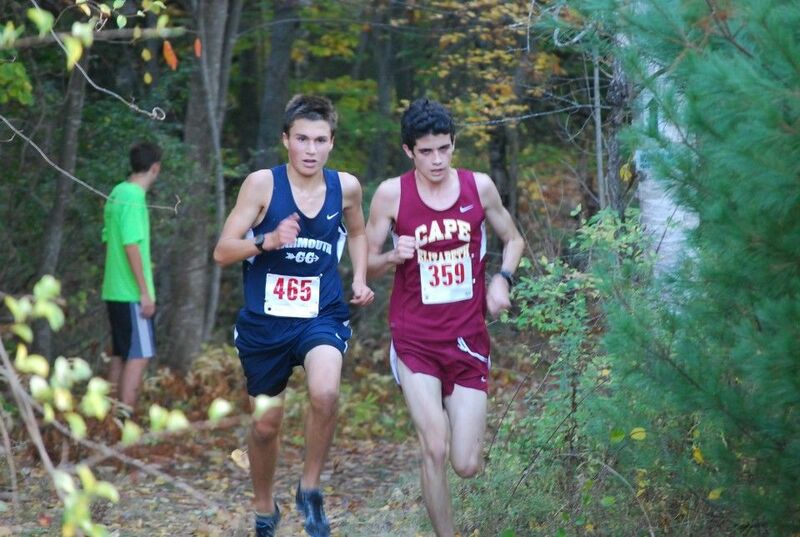 If Cape gets their #4 and #5 runners with Greely’s #5, they could compete for second place. On the Girls side of things, there’s no question about Katherine Lagget-Barr winning a State title barring sickness or an injury. Because of last week at regionals. it could be said that Grace Cowles could again be the runner up. But I disagree. I’d have to say that Rhoen Fiutak of Cape can crush Belfast. Cape hasn't run well at Twinbrook since 2010, and that's when they won regionals. Fiutak finished 9th with a 20:43 last weekend. At Festival she was 11th clocking a 19:28. As long Fiutak doesn't get caught up in the state meet atmosphere, and runs like she did at Festival, she could very well repeat that effort, and help lead the Cape Girls to a state title. I think Grace Cowles will be right behind Rhoen Fiutak. Cowles will push Fiutak all the way to the end. Cowles has been running strong as another newcomer to the sport. She ran a 20:22 at regionals to take second, a 20:26 at St. Joe's. to take second at WMC’s. Cowles ran at Belfast once this year cloking a 19:47 performance. Watch for Cowles to be on the leaders in the chase pack. As it was at Regionals, it’ll be yet, another three way battle for the title. Out of the three times these teams have matched up, Yarmouth has won two of them. Greely won the first one on their home course, the second at St. Joe's, they rested their top three, and this past weekend, the Rangers were 6 points behind. Cape was third the first time they matched, second at St. Joe's, and third at regionals. Cape doesn't run well at Twinbrook, but it’s been shown that they excel at Belfast. Cape won Festival by 38 points over Yarmouth, 137-175. Cape will look to produce the same results. From the results last week, Yarmouth averaged 20:46 with a 1:35 split. Greely was 20:49 and a 1:53 split. Cape was 21:01 and had the fastest split of :44 seconds. As the score was 39-45-54. Watch for these three teams to put their best runners in the top 10.